Reap the benefits of belonging to a club with experienced quality instructors and over 100 classes in our studio each week. Based on simple ballet technique builds long and lean muscles. Offerings include Barre, Barre Blast, Barre Express, Barre-Less Arms & Abs, Bosu Barre, Cardio Barre, Cardio Barre Express and Fusion. Heart pumping classes to get in shape and stay healthy. 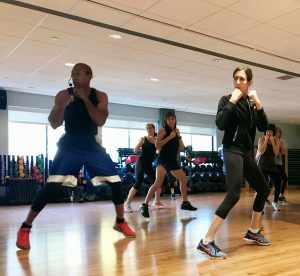 Offerings include 20/20/20, Cardio Jazz & Hip Hop, Cardio Kickboxing, Cardio Power Hour, Cardio Sculpt, I.C.E, LaBast, Power Step, Red Hot 55, Red Hot Dance Fitness, Sculpt & Strengthen, The Boxing Workout and Zumba. Intense cardio workout with steep hills, winding roads, sprints & more. 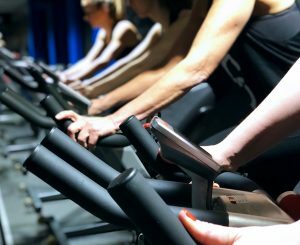 The Sporting Club’s Ride program features top instructors and a state-of-the art Spin studio. Offerings include Spin, Spin 45, Spin & Abs and 30/30 Spin/Sculpt. Body alignment, posture, stretching & strengthening on mat, based on the work of J.H. Pilates. 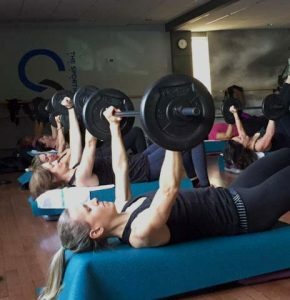 Also offering Body Architecture, a non-impact class targeting the core with Pilates, legs with Barre movements and the upper body with light weights. Body alignment, posture, stretching & strengthening on mat, based on the work of J.H. Pilates. 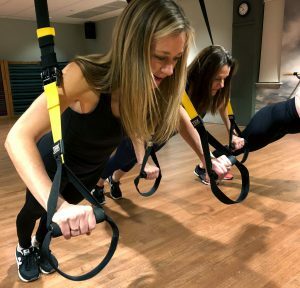 Also offer Body Architecture, a non-impact class targeting the core with Pilates, legs with Barre movements and the upper body with light weights. Tone, build strength and burn calories. Weight Training classes include BodyPump, BodyPump Express, Boot Camp, HIIT and Total Body Strength Boot Camp. Discover balance and wellness in our serene studio featuring natural light and a heated floor. Offerings include Alignment Refinement, Balance Yoga, Chair Yoga, Classical Yoga, Gentle Yoga, Mixed Yoga, Power Flow, QiGong & Tai Chi, Sunrise Vinyasa, Sunset Flow, Vinyasa Flow, Yoga Chill, Yoga Flow and Yoga Mixed Levels. Focusing on fitness for the entire family, our Kids Classes include Mommy and Me, Kids Fit, Creative Movement and Tiny Trees Yoga. Receive the benefits of Small Group Training with Fitt Tech Impact Kickboxing. Learn how to correctly execute powerful punches and kicks to get into shape and build confidence. Limited to 5 people per session. Additional fee applies.